Here is a quick guide for the beginner http://indybeers.com/beer-tasting-guide/. At the bottom of that page is an HTML template that can be used in our comments if you would like to post your own reviews along with us. Brewed by Baltimore’s Clipper City Brewing Co., Heavy Seas is produced by Baltimore craft beer pioneer Hugh Sisson – the brewery’s founder and managing partner – and Brewmaster Ernesto Igot, formerly brewmaster at San Miguel Brewery in the Philippines. 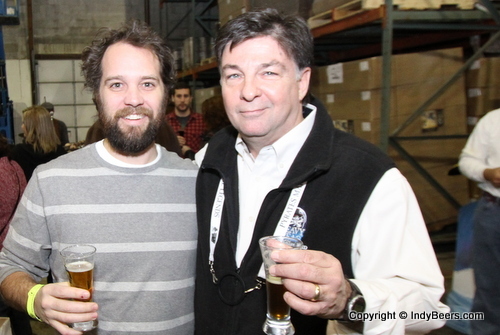 After successfully lobbying the Maryland Legislature to legalize brewpubs, Hugh began brewing professionally in 1989 at his family’s Baltimore pub – Sisson’s – which was coincidentally Maryland’s first brewpub. 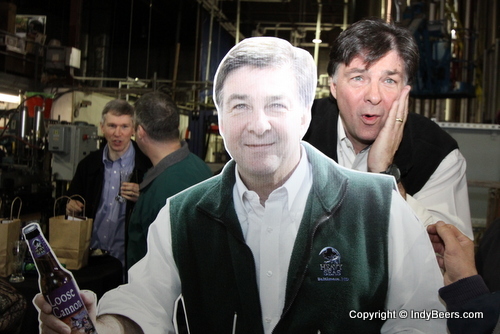 In 1994 he left Sisson’s to found Clipper City and has been involved in all aspects of the business – brewing, finance, marketing, and sales. 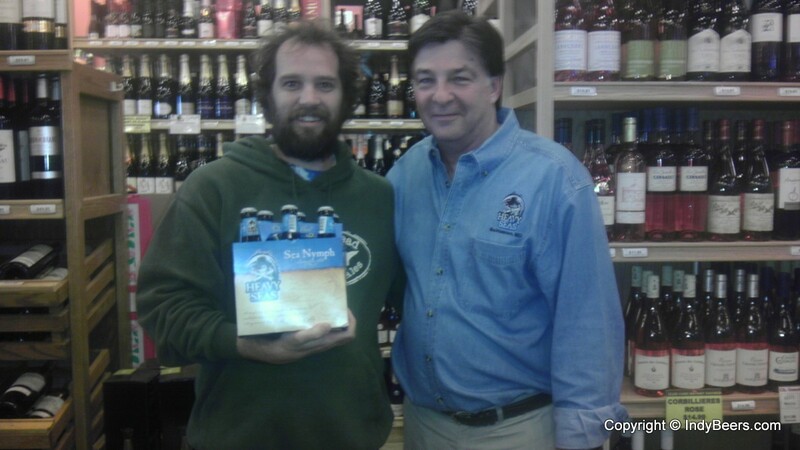 Heavy Seas, as a brand, was an extension of Clipper City to handle higher gravity beers. 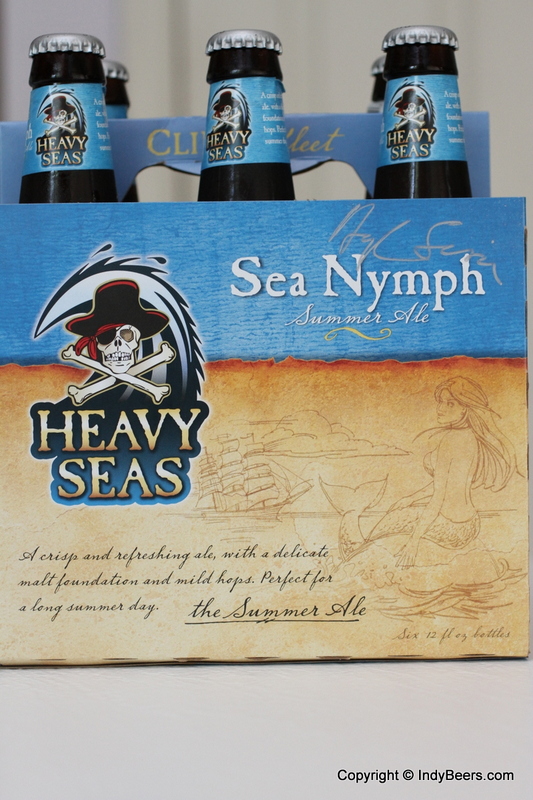 The company is now called Heavy Seas with the beers segmented in one of three categories based on style/season: Clipper Fleet (lighter beers), Pyrate Fleet (high gravity beers), and Mutiny Fleet (seasonal beers). Sea Nymph is a member of the Clipper Fleet. Light gold in color, yet crisp and refreshing. This summer ale will pair well with grilled seafood and salads. Available May – August. Scott: Light gold in color is spot on. Mild carbonation showing up. Could easily be mistaken in looks for a light beer. Chris: Yep, light gold. Can I just copy off you Scott? Scott: A slight sour smell with a hint of earthy. Chris: I catch just a hint of malts, but just barely. Scott: Smooth and easy. Very similar to the light beers previously mentioned. Scott: Smell and flavor are going hand in hand on this one. Chris: Very difficult to pickup. Lightly sweet. Scott: Not much there. The flavor dissipates quickly. Scott: Not a beer I would go after for flavor, but I could easily see myself throwing a few of these back on a nice hot day. 3/5.